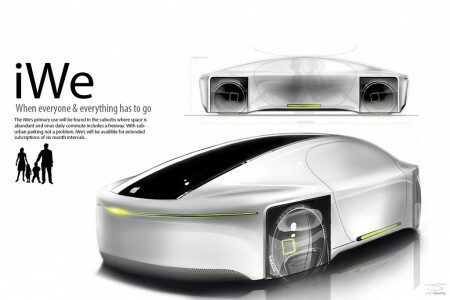 If Apple will not provide an iCar for a while (if ever happens), a designer had the idea to imagine iGo: a comprehensive and integrated solutions around 3 cars models cars of the future inspired by Apple. 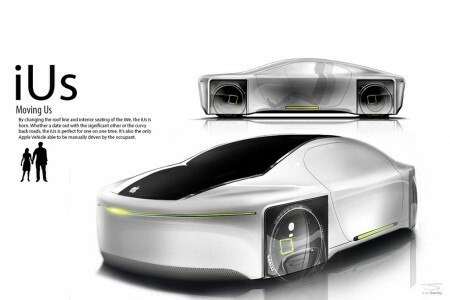 Shane Baxley designer imagined the iGo, a set of three models of electric cars that meet three different needs with a subscription worthy of Apple's marketing that is reminiscent of our Autolib '. For urban use, a vehicle car and announced a range of 55 km. 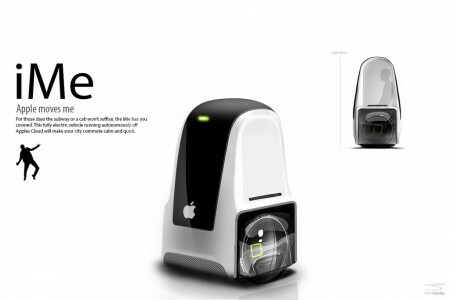 Suffice it call via a dedicated application for his ride, then only iMe would go back to a database or other users. It climbs range with a family-oriented vehicle for trips a little longer with a range of 480 km and can accommodate up to 4 people on board. It is omnidirectional and therefore able to join "road trains" on the highway for a lease term of up to six months. Based on the architecture of the IWE, the IUS is intended as a tandem cut for "dating or walks on winding roads" with a range of 320 km announced. Of course, applications will be part dedicated to make it easier for users. Batteries of each model are arranged in the floor system and induction charging (wireless) would even be available in some major areas.